o Only one temperature:Only one temperature, can meet the transportation in four seasons. o Same quantity:Use same quantity PCM cold-storage boxes, keep simple, and reduce the mistake risks. o Simple operation process:Provide simple and clear operational procedure to avoid the mistake. Long time temperature control, last for 120 hrs. 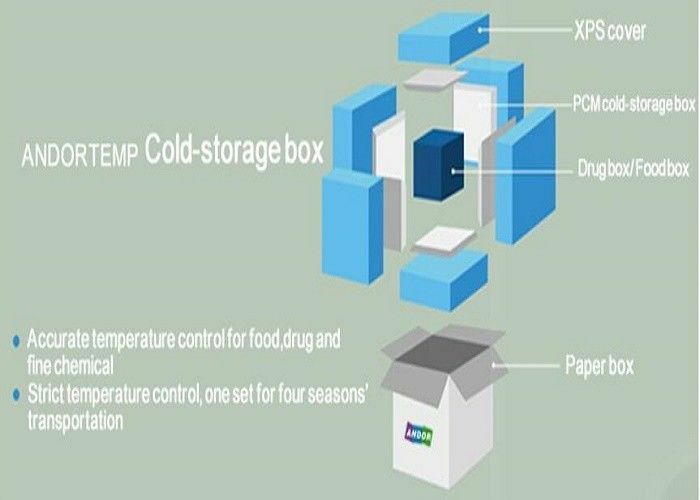 Cold storage box operation procedure-cold storaging, recooling , standardized process. Temperature testing norms- instruction documents final confirmed. *Additionally temperature recorder can be installed if required.